You’ve survived Black Friday and Cyber Monday. Did you realize today is Giving Tuesday? Yes, a day that organizers hope will become a national day of giving. We’ve just had a day of thanks and two days of deals, so today it’s time to give to others. If you’re an animal lover there are several different things you can do to help the life of an animal on Giving Tuesday. The best thing you can do is to adopt an animal and bring it into your home and what presumably will be a loving environment. But adopting an animal is not something that should be taken into lightly. Sure the animal is cute and you feel sorry for it and want to get it out of the cage it may live in, but it is a responsibility. There are costs and time requirements that must be considered. If you’ve discussed all of these things with your family and are ready to take that step that is wonderful. However, if you’re not ready to take that step to bring an animal into your home, you can still make a difference in their lives. The easiest thing to do is to make a donation to your local humane society. In Cobb County, the Humane Society of Cobb County has a wish list of items they need, as well as a form for you to donate money on-line. In North Fulton, the Atlanta Humane Society has a new facility on Mansell Road. 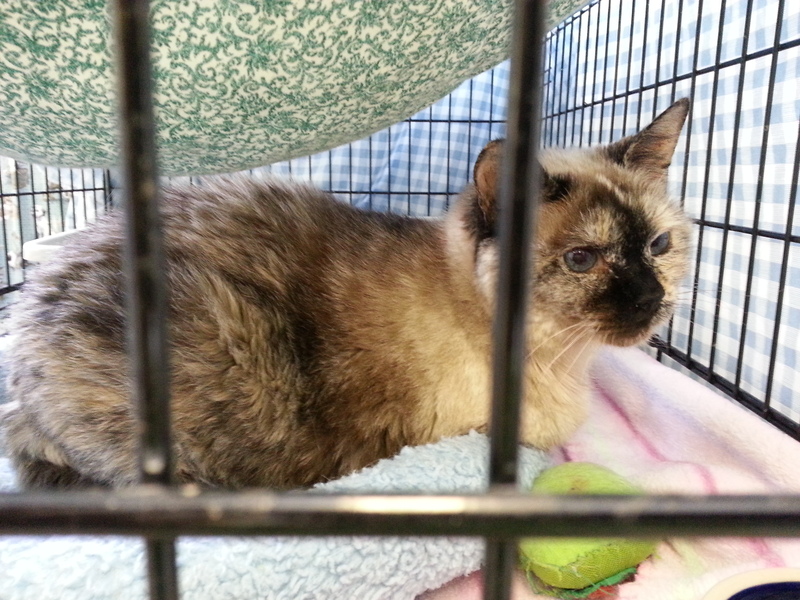 Although it is already open for adoptions it is still trying to raise money for the operation and donations can be made on-line. Adoptions to these organizations are usually tax-deductable. Another thing you can do is volunteer for the humane society in your town or county. These places are always looking for people to do things like clean the cages and help with fresh food and water. But these jobs are not always bad. I work at the Cobb Humane at least once a month. After we’re finished with the cleaning, we get to play with the animals there. Sometimes I’ll walk one of the dogs, and the cats always love to be played with and held. You can even stop by to play with the animals during the week. This socialization is very important in their development, especially with the kittens. If you are a fan of a particular breed, there are many breed specific breed rescues around Atlanta or the state of Georgia. A Google search for that breed will point you in the right direction. You can donate money to them or volunteer. Also several of these places need foster homes. 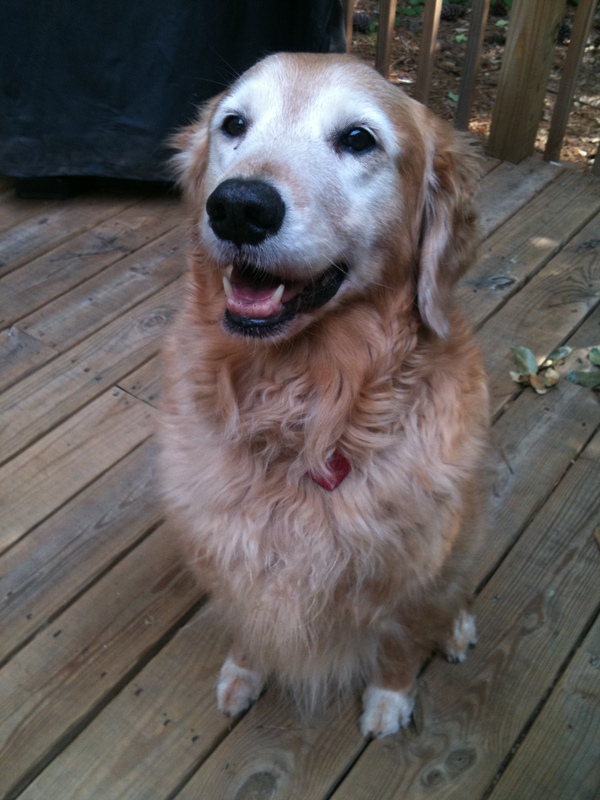 One of my sitters is a foster for Adopt a Golden Atlanta and will take a dog until a permanent home can be found for the dog. This is a good test to make sure having a dog in your home is good idea. Of course you have to give the dog up when a family takes him full time. There are several organizations around Atlanta that have pets available for adoptions. Many of these groups save pets from shelters that are about to put them down. One of those groups that I’m familiar with is Georgia Homeless Pets. They have a need for volunteers to pick the pets up from foster homes and take to their adoption drives on the weekends at PetSmarts in Smyrna and Austell. 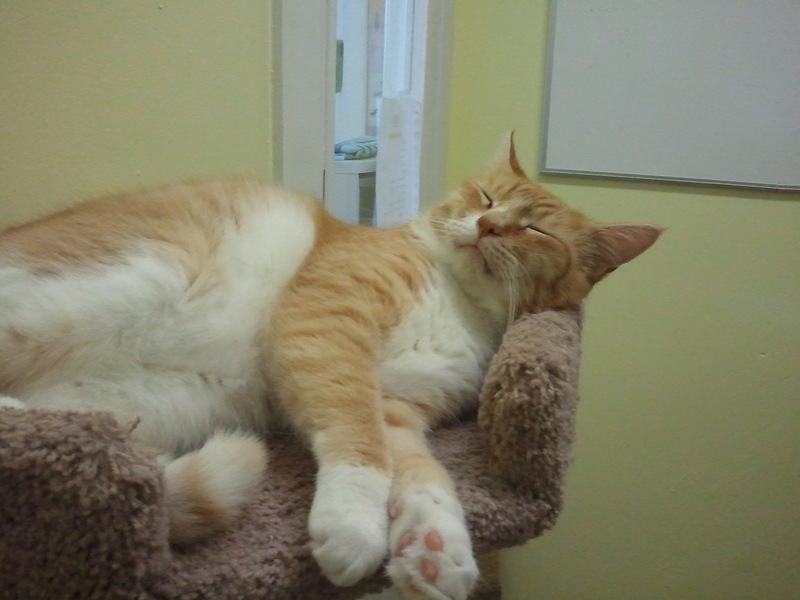 They also have a need for foster homes for the pets as well. There are plenty of pets that need you this holiday season. However you decide to give of yourself, be it money or time, you can be assured it is a gift that will have an impact on an animal. With Black Friday coming up you may be looking for gifts for the pet lover on your list. Books are always a great gift and over the past few weeks I’ve found the following books in several bookstores around. I haven’t had a chance to read any of these, but take a look at the summaries I’ve posted. Be sure and share your opinons if you’ve read any of these books or let us know about any other good pet related books you’ve read. There are many books similar to the Marley and Me that was so popular and was turned into a movie. 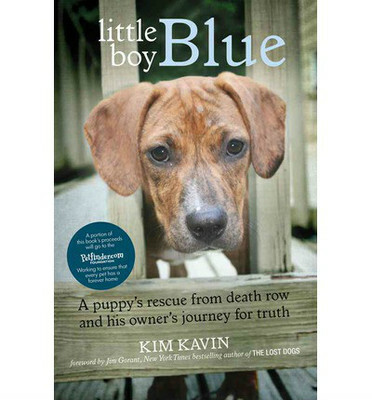 Little Boy Blue by Kim Kavin – The author found her dog on a website and after she got him, wanted to find out more about his story. The dog was saved a few days before he was going to be killed and sent to New Jersey where Kavin picked him up. This book explores the puppy’s tale of survival and also looks at how some taxpayer funded shelters put animals to death. The Puppy Diaries by Jill Abramson – Jill Abramson was dealing with the loss of a dog, and having to recover from injuries sustained in a serious accident. She was battling depression and friends suggested getting a new dog to help her recovery. Scout, a golden retriever, comes into her life. Abramson, a NY Times reporter at the time who is now the paper’s executive editor; details the adventures of living with Scout and how he affected their lives. 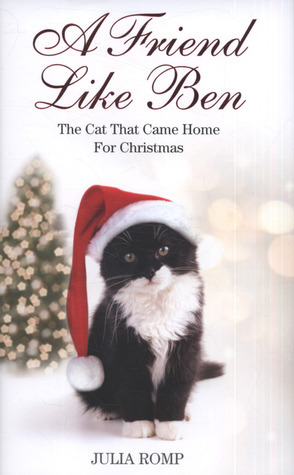 A Friend Like Ben: The Cat Who Came Home for Christmas by Julia Romp – This is another story about the impact pets can have on our lives. The author is dealing with her autistic son, George, when Ben the cat is discovered in the garden. George makes great strides for the 3 years but Ben goes missing and George begins to regress. Buddy: How a Rooster Made me a Family Man by Brian McGrory – This is written by another newspaper writer (Boston Globe) who loses his dog, but falls in love with his vet. When he moves in with her he has to compete with her 2 children and several animals including Buddy, her rooster. The story tracks how McGrory deals with the challenges, especially winning over Buddy. 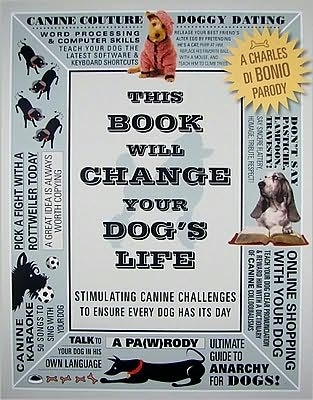 This Book Will Change Your Pets Life by by Charles di Bonio – This book is something different. You get to help your pet instead of a story about the pet helping the human. This is available from And Thou Shalt Read in Roswell. It has 365 things for your dog to learn to do and works for any breed. Collared: A Gin & Tonic Mystery by L.A. Kornetsky – This is a novel with animals playing big roles in the main character’s lives. She’s a dog person and he’s a cat person, but they (and their animals) work together to solve a crime. The name comes from Ginny and her shar-pei, Georgie, who team up with her bartender friend Teddy Tonicia and his bar cat, Mistress Kitty.